An Assault and Battery charge is, in New Mexico, a shortened way of charging the defendant with the separate crimes of 1) Assault and 2) Battery. If you are facing the double charges of Assault and Battery, you may be facing double penalties as well. You attempt to commit a physical assault on someone else. You threaten or menace a victim to the point they are in fear of being physically assaulted. You use assaulting language that could harm someone’s honor or reputation. The key difference between Assault and Battery is the presence of physical contact or injury. The two are often paired in the legal arena because the attempt in Assault usually precedes the physical Battery. While Assault and Battery are often charged together, it is important to consult an experienced Albuquerque criminal defense law firm to further understand the potential consequences of these charges. The Law Office of Mark Keller has over two decades of experience defending clients who are facing assault, battery, other violent criminal charges. Our experienced criminal defense attorneys have spent the years intensely studying and practicing the intricacies of New Mexico Assault and Battery Law. Our attorneys possess the aggressive litigation skills necessary for a strong defense that has resulted in dismissed or reduced charges for many of our clients. If you are facing assault and battery charges in New Mexico, you may be facing hefty fines, incarceration, and extensive probation. A criminal conviction has the potential to negatively impact your family relationships, your ability to secure employment, and your psychological well being. You need an experienced attorney who will vigilantly protect your rights and fight for your best interests. The lawyers at the Law Office of Mark Keller have been practicing law for over 80 years. We will build a strong defense on your behalf and stand with you through this entire ordeal. 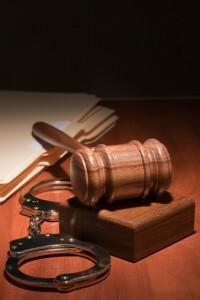 Contact our office today to speak with an experienced criminal defense lawyer.